Will be selling my 07 soon, listed parts will be coming off by the end of the week (will post pics once done). 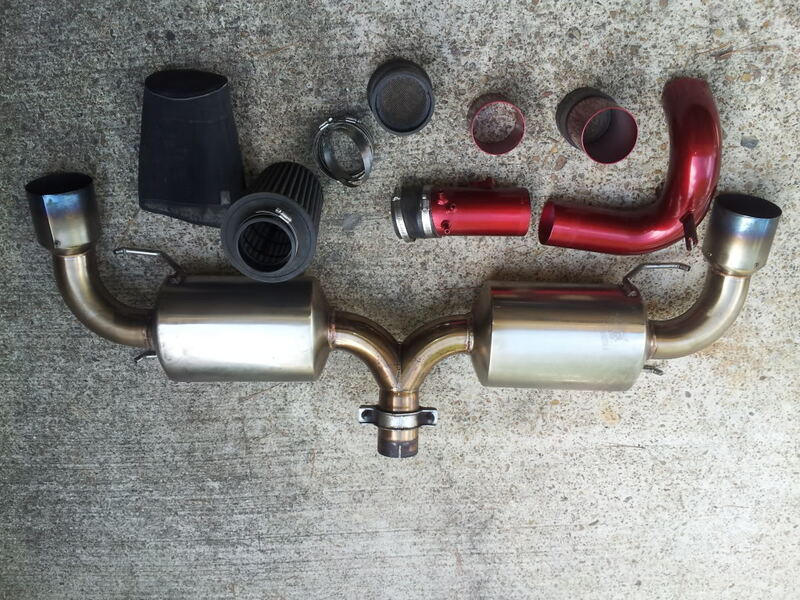 AEM CAI............................................... ...$200 Polished red, all install parts. If ya get everything, I will cover shipping for you. Last edited by battousaix; 07-09-2012 at 12:43 PM. can you post a pic of the F strut bar? or just PM it. Very interested in AEM, how many miles/condition of filter? will you do 400 on the exhaust?